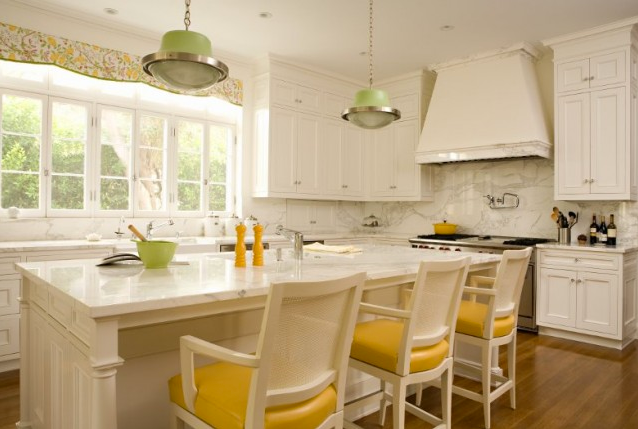 I adore this kitchen by Elizabeth Dinkel Design. Mostly white with touches of green and yellow is perfection. I always say I can't do color, but I could so do this. Aren't the pendant lights just fabulous?